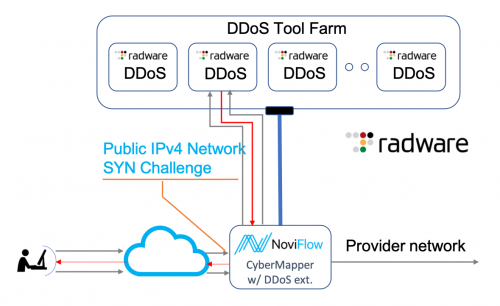 BARCELONA, SPAIN, February 25, 2019 – NoviFlow® Inc., a leading vendor of SDN Network Operating System (NOS) for programmable networks, and Lumina Networks Inc., leading provider of OpenDaylight-based SDN Controller solutions and services, today announced a joint solution that unifies multi-domain IP/MPLS routers and programmable white-box switches to create a seamless intent-based Terabit-scale network. Communication Service Providers will realize benefit through gradual transition from legacy devices to white-box switches with seamless ubiquitous control. Enabled by intent, service delivery is automated and multi-domain network operations are simplified. 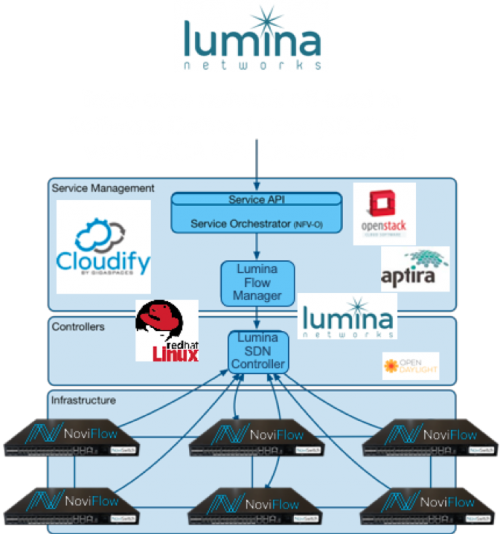 The Lumina/NoviFlow joint SD-Core Networking Solution delivers an unprecedented degree of service automation and performance, enabling network operators to dynamically scale services as demand fluctuates. The solution reduces management and operating costs with simplified, multi-domain control. SD-Core extends the intent-based end-to-end programming of flow across multiple topologies and protocols accelerate the transition to white-box SDN networks. CSPs will realize benefit through a gradual transition of mission-critical traffic from expensive legacy systems to more economical switching and routing infrastructure. Lumina’s SDN Controller provides OpenFlow control to the data plane, while working with the network’s legacy routing software to integrate seamlessly with existing network nodes across domains. NoviFlow’s NoviSwitches, including the 6.5 Tbps Tofino-based NS-5164, feature a programmable match-action pipeline which allows the switching services to evolve over the life of the network. Combined with Lumina’s SDN Controller, SD-Core delivers carrier-grade MPLS, segment routing and traffic engineering core router capabilities at a fraction of the cost of proprietary vendor solutions. The solution is built to allow the gradual migration of MPLS services – point-to-point E-line, L3VPN, E-tree, etc. and other routing services such as segment routing, to less costly SDN infrastructure, allowing the capping of investment of legacy core routers. The Joint SD-Core Solution will be presented at the NoviFlow booth (7M21) February 25-28, 2019 at the Mobile World Congress in Barcelona, Spain. 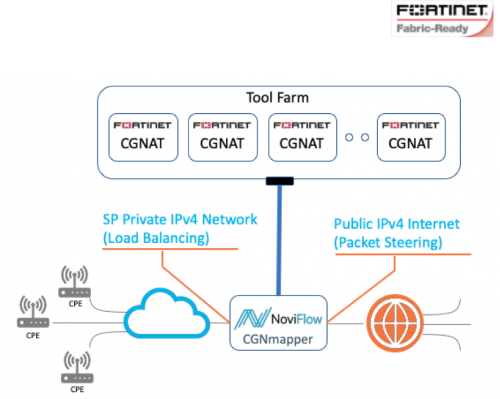 NoviFlow Inc. provides high-performance OpenFlow-based switching solutions to network carriers, data center operators, government agencies and enterprises seeking greater control, security and flexibility over their networks. NoviFlow has offices in Montreal, Boston, Sunnyvale and Seattle, and representatives in the Asia Pacific, Europe, and the Middle East. For more information, visit http://noviflow.com/. Follow NoviFlow on Twitter @NoviFlowInc. 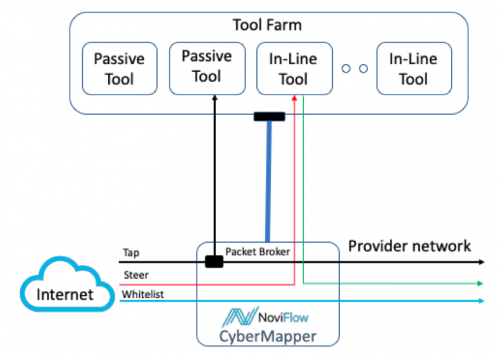 NoviFlow’s trademarks include NoviSwitch, NoviWare, NoviConnect, CyberMapper, and GatewayMapper. Other trademarks belong to their respective owners. Click HERE to get PDF file.